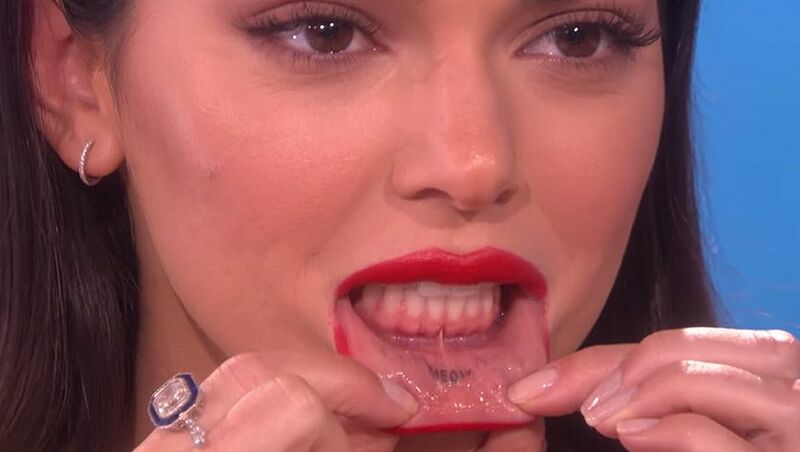 Tattoos are a big part of today’s culture, and stars are not exempt. 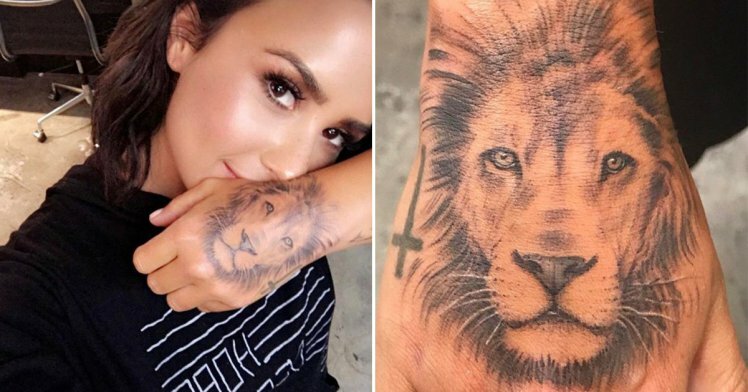 From hidden script to highly visible art, take a peek at some of these Celebrities and Hollywood’s ink-and what it all means. When Kylie Jenner visited celebrity tattoo artist Bang Bang’s studio, she gave him a King Kylie tattoo and also got another for herself: the phonetic spelling of “sanity.” Like her other tattoos, this one is super small and in her signature muted red shade. 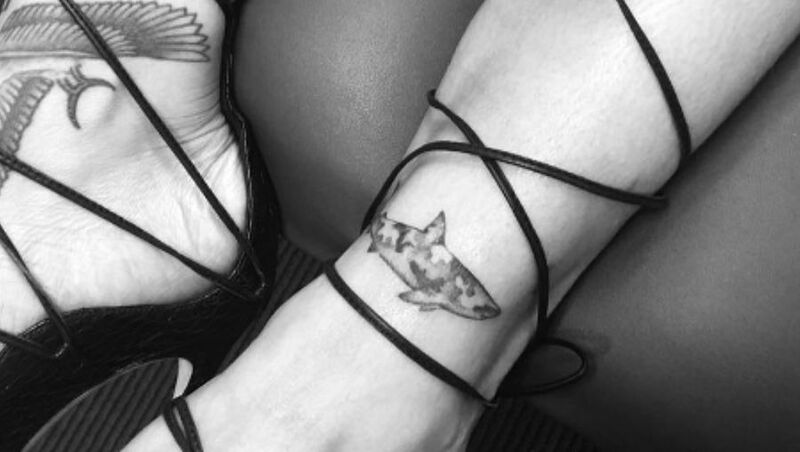 Rihanna’s camo shark ink is apparently a token of her and Drake’s relationship — and the time when he took her to an aquarium in Toronto where he bought her a stuffed shark. 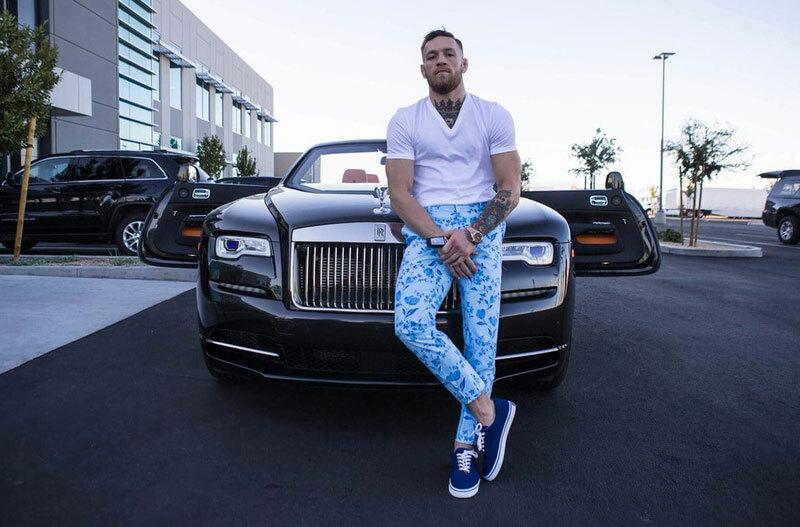 Drake also has the same tattoo on the inside of his arm. 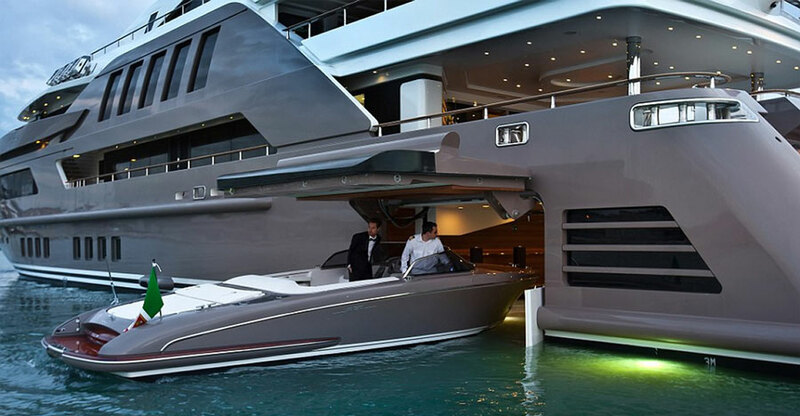 What a couple of love sharks. 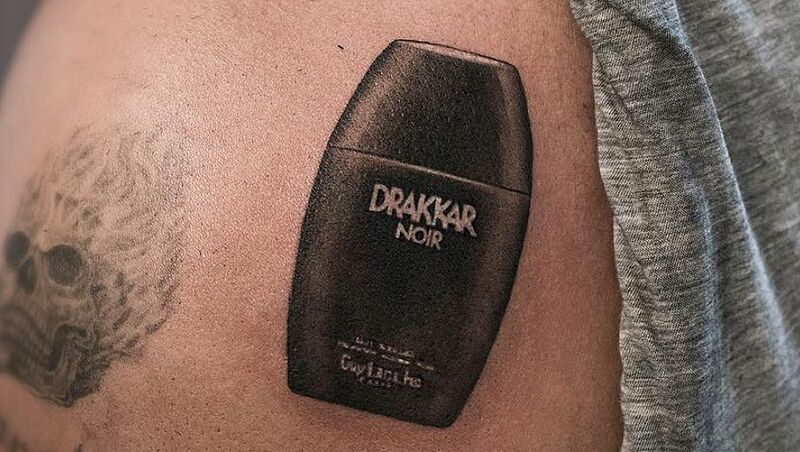 Drake, meanwhile, has a cologne bottle inked on his shoulder — sadly it’s not a scratch and sniff piece. It also happens to be a play on his old Twitter handle, @drakkardnoir. 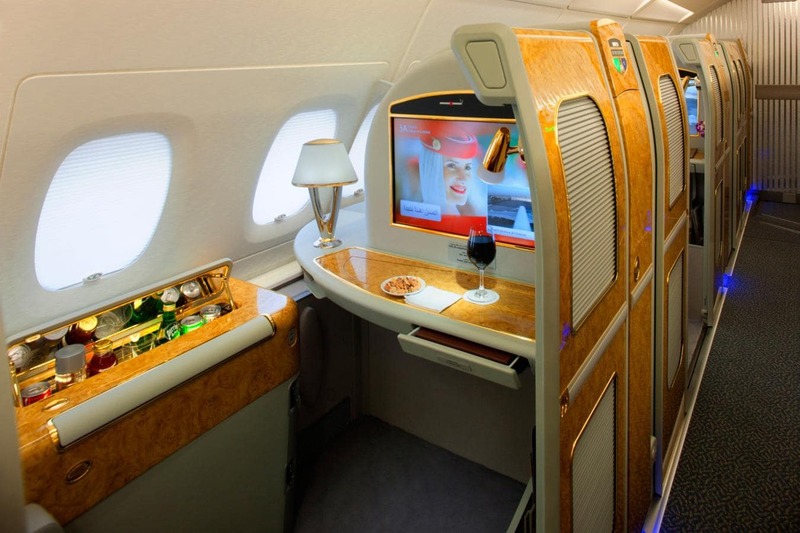 Talk about creative branding. 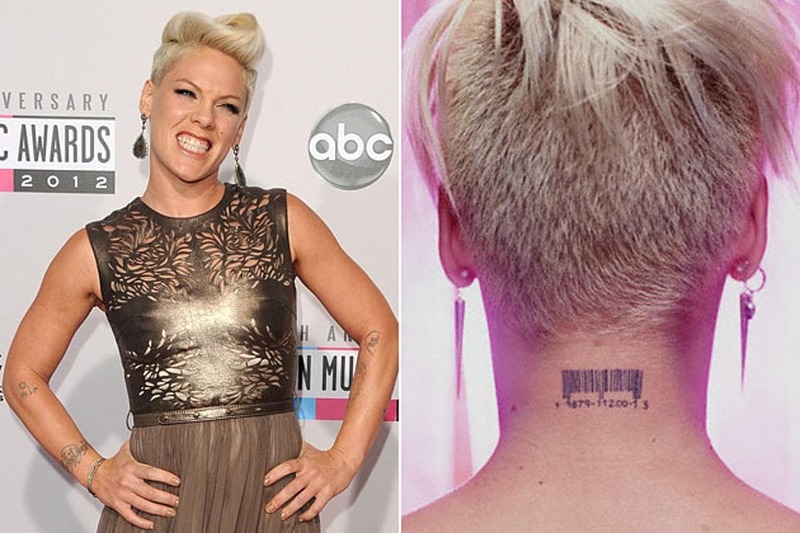 Pink’s barcode tattoo on the back of her neck sums up some of the most important numbers in the singer’s life. Th identification label is a combination of her birthday, the release date of her Missundaztood album, and lucky number 13. 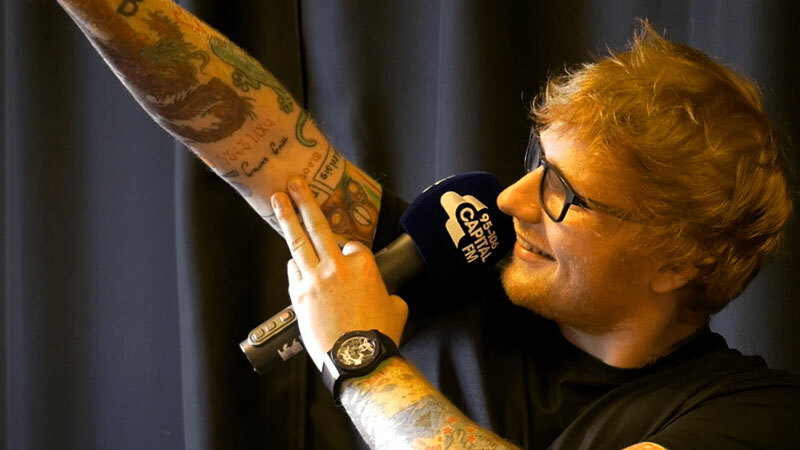 After Saoirse Ronan appeared in Ed Sheeran’s “Galway Girl” music video, he decided to have her to tattoo the song title on his arm. That sounds like a great idea in theory, only Ronan is the ultimate prankster and spelled it wrong on purpose. Justin Bieber got this sassy-looking owl tattoo in 2012, after getting five other ones that same year (and, as we all know, many many more since). 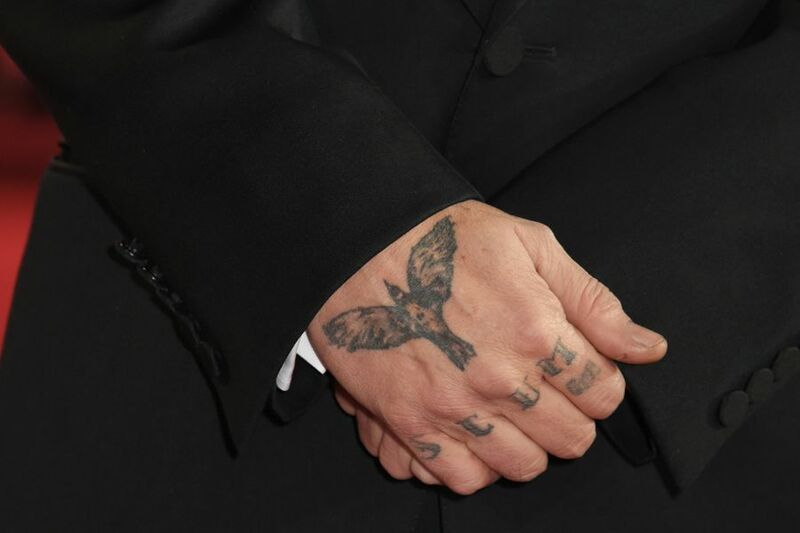 The black and white owl is right next to his “believe” tattoo and is supposed to represent wisdom. Hey, whatever gets the job done! 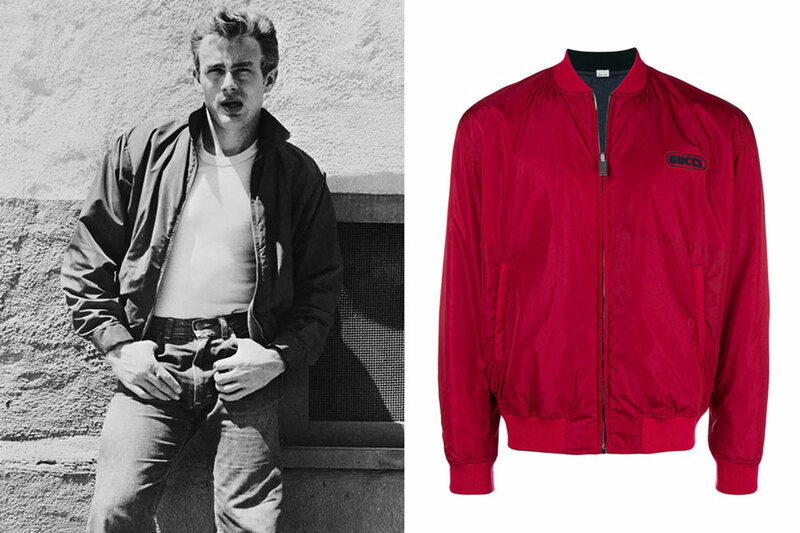 He also used to have a tattoo that said “Winona Forever,” for his ex- fiancé, Winona Ryder, which hechanged to say “Wino Forever” after they broke up. 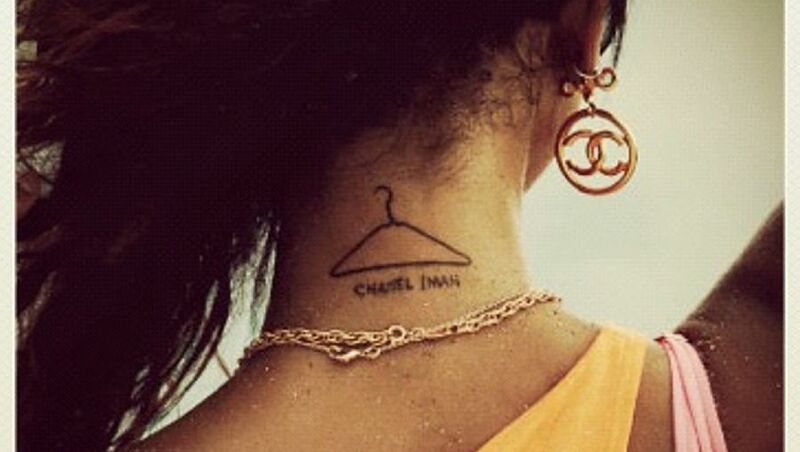 Model Chanel Iman got this tattoo to remind herself — and forgetful designers — that she’s a model. “You put clothes on a hanger, and you put clothes on a model,” Iman said. 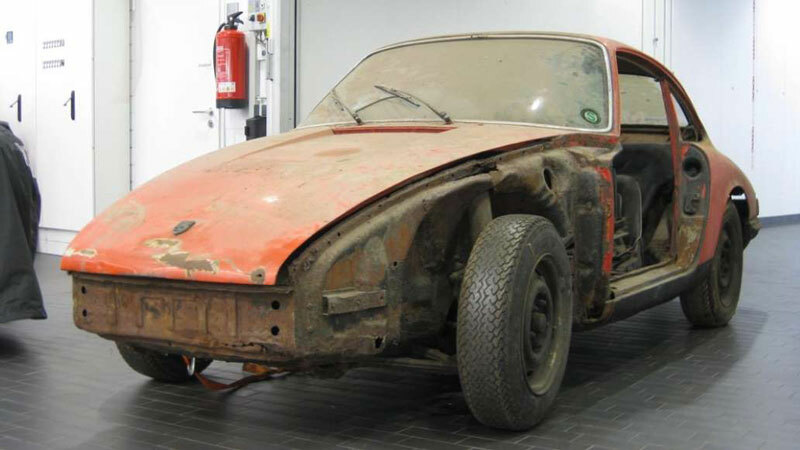 “It represents being a model.” Clever. 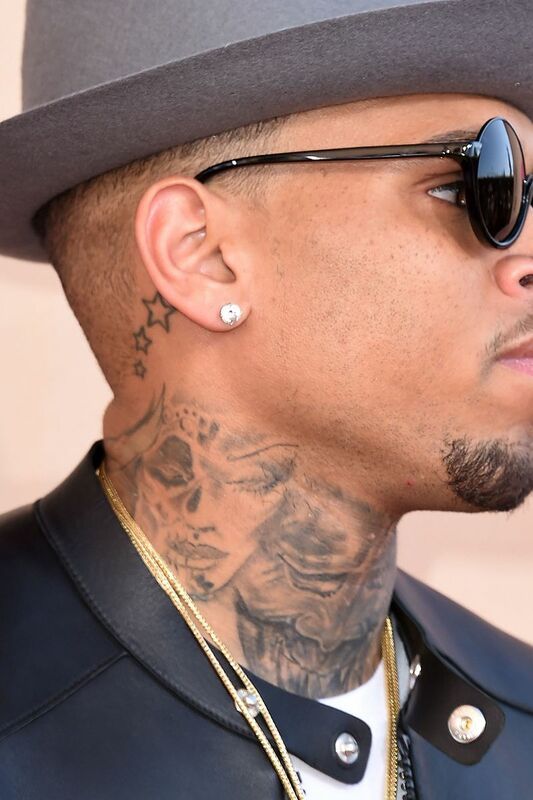 Four years after pleading guilty to assaulting his then-girlfriend Rihanna, Chris Brown added a tattoo that many have said resembles a battered, bruised woman on his neck to his body art collection. Which is, for all sorts of reasons, in very poor taste. Following much criticism, Brown’s publicist denied the tattoo is about Rihanna — instead, Brown was apparently inspired by a M.A.C. Cosmetics makeup design that’s supposed to look like a skull from the Mexican Day of the Dead celebration. 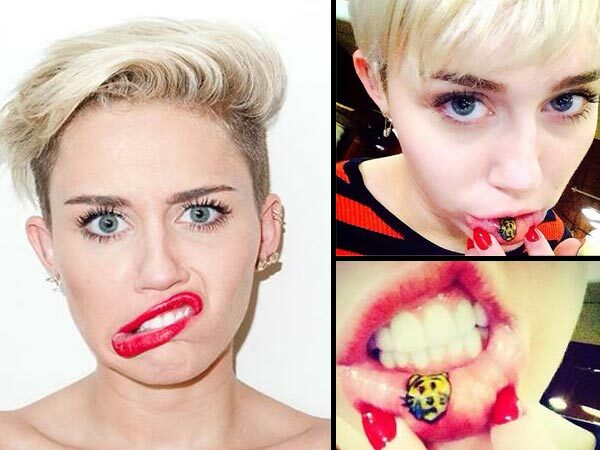 Miley Cryus is just as expressive and animated as an emoji, so it’s only fitting that she has one tattooed on her lip. She got this one during her The Flaming Lips phase. Amanda Seyfried had “minge” tattooed on her foot after filming Mamma Mia! — it’s a word her co-star Colin Firth used to say the all the time on set, apparently. In case you don’t know, minge is another word for a woman’s pubic area. So that makes the foot the most logical place for it… right? Emma Watson was spotted with a cursive tattoo in honor of the #TimesUp movement while attending the Vanity Fair Oscars party. Though Watson’s ode to #TimesUp may only be temporary (probably a good thing since it had a small typo thanks to a missing apostrophe), women in Hollywood are hoping for permanent results. According to the Sun, Grande and members of her Dangerous Woman tour were tattooed with bees backstage at the Manchester One Love show Sunday. A symbol of the city’s industrial heritage, the insect refers to Manchester’s textile mills in the 1800s, described as “hives of activity.” Citizens have been lining up for bee tattoos after the May 22 bombing. After attending the Time 100 gala Tuesday, she had a massive lion’s head inked onto her left hand. Maybe it was a tribute to the essay Ariana Huffington wrote, in which she praised Lovato’s “courage, honesty, and willingness to use her own experiences to help others?” Hmm. 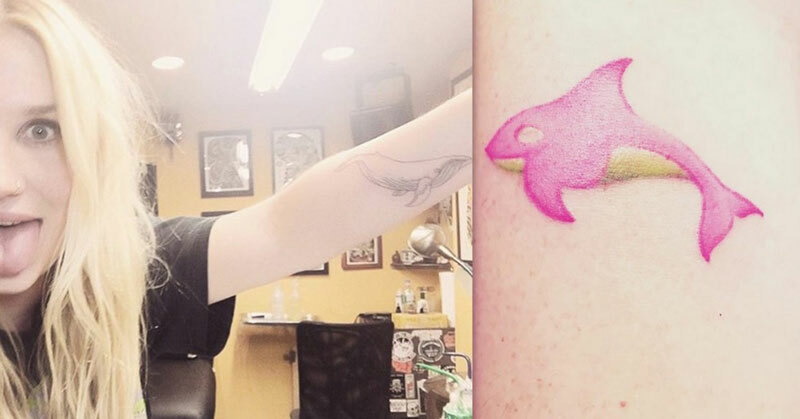 “Psychedelic whales are slowly covering my entire body…,” the singer captioned a photo of her new ink. She’s already got a friendly narwhal tattoo, so it’s only a matter of time before her menagerie of sea creatures expands again. Carey Mulligan told Vulture that she believes the teeny tattoo of the seagull on her wrist helped her nab a role in the Steve McQueen flickShame. During the audition process, she mentioned that she was mulling over the idea of a seagull tattoo as a reminder of the character Nina, who she played in a stage performance of The Seagull. She told him, “There’s this brilliant thing Nina says in Act Four when she comes back and she’s completely f*cked up—she’s had a child with this writer and she’s lost the baby and she’s lived in abject poverty, and she comes back and she’s fraught but she’s got this clarity.” McQueen was a big fan of the idea, and she ended up getting both the tattoo and the role. On The Late Show, Jessica Alba revealed to host Stephen Colbert she named her small wrist tattoo “My First Breakup.” The Honest Company CEO said, “It’s lotus in Sanskrit. It means the manifestation of spiritual beauty.” Alba nonchalantly mentioned she got the ink after breaking up with a “famous actor”—who may or may not be NCIS star Michael Weatherly—and finding herself again. Demi continues to add ink to her ever-growing collection, this time sharing the news via Snapchat. 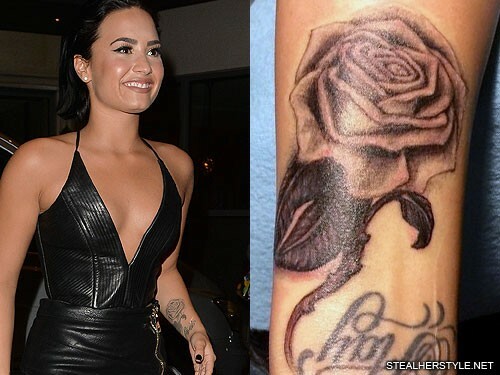 The singer posted videos while under the needle and later revealed two large roses underneath an older tattoo reading “Stay”. Her snapchat videos appeared to show her getting a back tattoo as well, but Demi has yet to show it off. 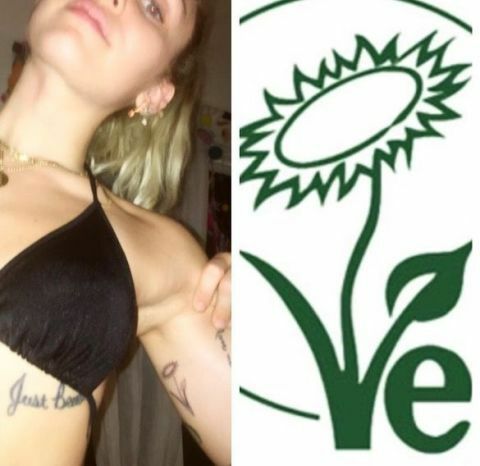 The songstress got one of her newest tattoos in Arabic, which roughly translates to “love yourself first.” It’s all in keeping with her frequent championing of female empowerment and self-love. 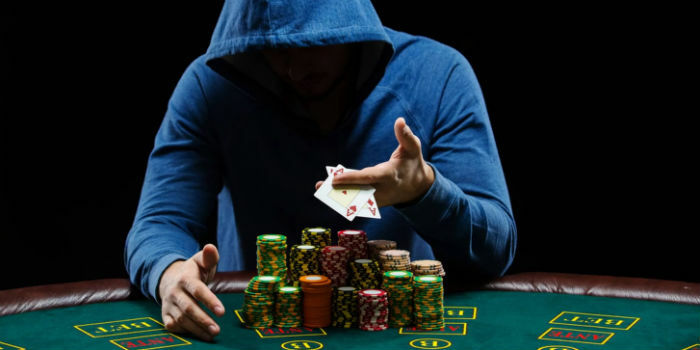 The Poker Industry in Panic Because of This Revolutionary Free App!